Pictured above: St. Vincent Pallotti’s Julian Ganthier (3) celebrates a play with teammate Osei Dixon during Friday’s victory over St. Mary’s. The Panthers defeated St. Mary’s to secure their place in the MIAA B Conference final, and the newest VSN Football Top 20. With a spot in the MIAA B Conference final locked up, St. Vincent Pallotti High is one of two newcomers in this week’s VSN Football Top 20. The Panthers handed then-No. 20 and defending MIAA B champ St. Mary’s its first league loss with a 14-0 victory at Fairland Regional Park in Laurel. The win sends Pallotti to the league final and rematch with the Saints Nov. 10. Eastern Tech also debuts this week. The Mavericks (8-1), who went 5-5 last season, can clinch first-place in Baltimore County’s Division II with a victory over Western Tech Friday at Lansdowne. Dundalk is the biggest mover in the poll after blowing out previously undefeated and No. 6 Milford Mill Academy. The Owls can secure first in Baltimore County’s Division I with a victory over Kenwood and loss by Franklin. The top 5 remains intact in the next-to-last poll of the regular season with St. Frances Academy at No. 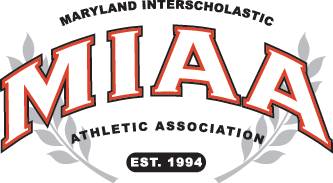 1, followed by Anne Arundel County champ Broadneck, Mount St. Joseph, Calvert Hall and Archbishop Spalding. Last week: The Panthers defeated Northeast (PA), 35-0. Last week: The Bruins defeated Glen Burnie, 26-7. Last week: The Gaels defeated High Point (NC) Christian Academy, 48-13. Last game: The Cardinals defeated No. 10 McDonogh School, 16-10. Last week: The Cavaliers defeated Gilman School, 47-0. Last week: The Poets defeated then-No. 18 Edmondson, 46-0. Last week: The Gladiators defeated Mount Hebron, 56-0. Last week: The Lions defeated Reservoir, 28-6. Last game: The Millers lost to then-No. 19 Dundalk, 28-7. Last week: The Lions defeated Francis Scott Key, 49-13. Last week: The Indians defeated Dulaney, 49-6. Last week: The Owls defeated then-No. 6 Milford Mill Academy, 28-7. Last week: The Eagles lost to No. 4 Calvert Hall College, 16-10. Last week: The Mustangs lost to then-No. 7 Dunbar, 34-8, at Poly, in completion of Sept. 21 game, and defeated Digital Harbor, 46-6. Last week: The Rams defeated Havre de Grace, 44-14. Last week: The Wildcats defeated Old Mill, 26-21. Last week: The Owls lost to Salesianum (DE), 14-13. Last week: The Panthers defeated then-No. 20 St. Mary’s, 14-0. Last week: The Mavericks defeated Randallstown, 29-0. Last week: The Red Storm lost to then-No. 7 Dunbar, 46-0.